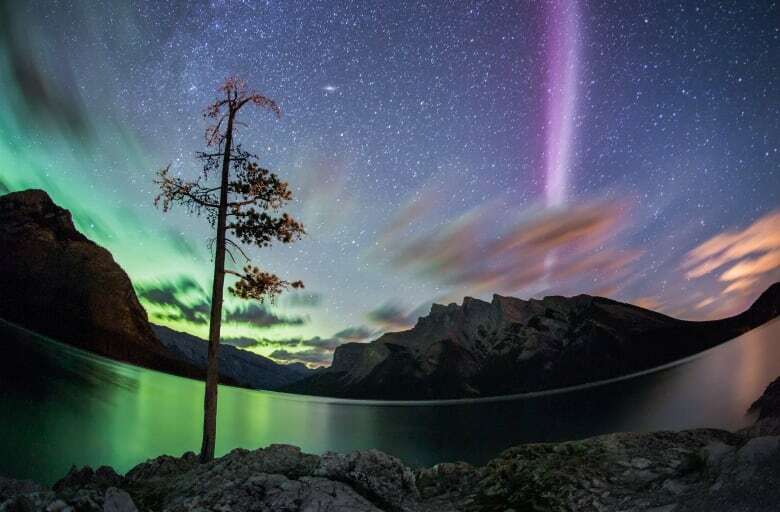 There is a mystery lighting up the northern hemisphere — thin ribbons of glowing purple and green that have come to be known to photographers and scientists as "Steve." At first glance, an amateur might look up at the night sky and mistake the dancing lights for an aurora, which is caused by particles that come down magnetic field lines into Earth's upper atmosphere. The charged rain gives energy to atmospheric molecules and atoms, which in turn, take the energy and radiate light. 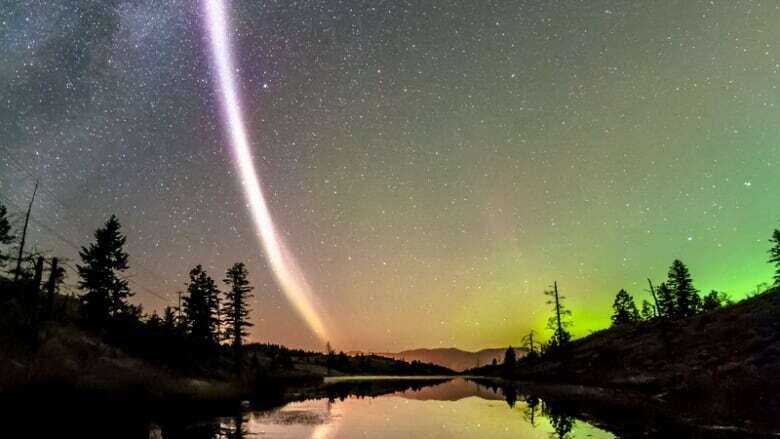 But Steve, despite the colourful rippling light, is no aurora, according to a new study published in Geophysical Research Letters, a journal of the American Geophysical Union. "The aurora you see in the sky, at least from our data, is moving at a certain speed, and then you have this guy moving crazy fast at lower latitudes, passing from east to west, super narrow, almost like a comet," said Bea Gallardo-Lacourt, a space physicist at the University of Calgary and lead author of the study. "I like to describe it to my friends as the aurora moves like Wile E. Coyote, while Steve moves like the Road Runner," she said. Steve has been appearing to northern sky watchers for decades, but only came to the attention of scientists in 2016. The phenomenon was dubbed Steve after a scene in the 2006 animated movie Over the Hedge. The animal characters, encountering a hedge for the first time, decide to call it "Steve" — their name for something unknown. The scientific community took the nickname and created a backronym, said Prof. Eric Donovan. That's when a descriptive phrase is made to conform to a name as an acronym. Thus, Steve became short for Strong Thermal Emission Velocity Enhancement. Donovan, a professor of physics and astronomy at the University of Calgary, is also the co-author of the study. He said he's known since he first saw Steve it was not an aurora, but scientists are still trying to uncover the mystery of exactly what Steve is. "With Steve what's happening is we can't find evidence of that particle precipitation, so it seems like the energy that's causing the light is coming from somewhere else," he said. Photographers at first thought the mysterious purplish light was a proton arc, which Donovan said he knew was incorrect, because proton arcs are not visible to the naked eye. But he couldn't say exactly what it was. Scientists have started tracking Steve through a series of sky cameras across the country. When they see Steve appear in the cameras' data, they then look to satellites in the sky — belonging to organizations like NASA, the U.S. Air Force or the European Space Agency — to see if a satellite that takes particular measurements happened to fly through Steve on that day. The new study analyzed a historical Steve event on March 28, 2008, using the Canadian sky cameras (known as All-Sky Imagers) and energetic particle detectors on one of the National Oceanic and Atmospheric Administration's Polar-orbiting Environmental Satellites. The satellite's equipment was able to measure charged particles precipitating into the ionosphere. The analysis aimed to determine whether Steve was produced by the same phenomenon that caused the aurora. The results found that particular Steve event to be distinct from the aurora due to an absence of raining charged particles. "Interestingly, its skyglow could be generated by a new and fundamentally different mechanism in the ionosphere," the study read.